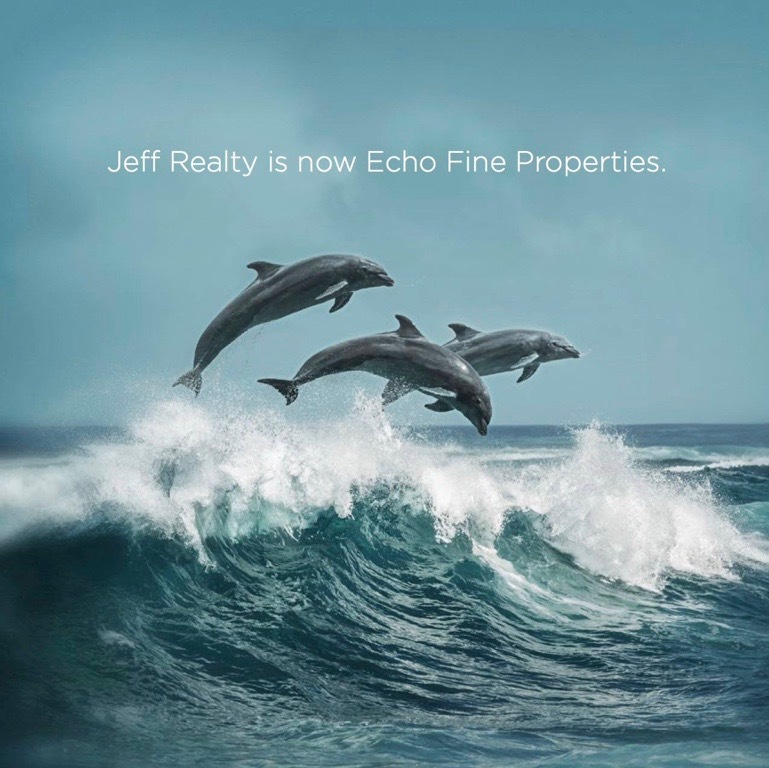 When I first heard that Jeff wanted to rebrand Jeff Realty to ECHO Fine Properties my first response was, “Why would he want to do that!” Jeff had built a brand that was omnipresent in the Northern Palm Beaches that was iron clad. We were the top producing team at Illustrated Properties for the last 5 years! Jeff’s name was known everywhere. I was a beneficiary of the Lichtenstein team working Jupiter and Juno Beach Oceanfront Condos, and now carry the same values and gravitas. Some wise person once said, “If it ain’t broke don’t fix it.” So, I wasn’t sure this was such a good idea. We tossed around a few ideas working late in the office (name, logo and vibe). I saw some drafts and images as well as tag lines, “The Next Wave in Real Estate.” I still thought it might not be a good idea. And then Jeff sent a video of him and his family on a whale watching trip and a sudden encounter with a pod of dolphins. For him it clicked. This encounter was the catalyst for his new vision… And then I got it. It was no longer only Jeff and Cary. Now it was 40 agents and staff helping and supporting each other, working together like a pod of dolphins. He pushes the envelope when it comes to trying new things. When I came on board we had one agent doing intermittent Facebook posts. With my background in social media marketing I pushed Jeff to venture more deeply into social media marketing and PR. I said I could do it, but he wanted me selling homes. Now we have 2 dedicated social media PR members. There are no teams doing the amount of digital marketing we are. Simply put, we are maximizing the tools in the 21st Century Tool Box. Back to the rebranding… So after I got over the hump and got on the Echo Fine Properties train, I began to see the fruits of this BIG decision. The logo is clean and speaks to South Florida. The photos and videos will be a huge step ahead. The new printed material is bold and striking. And the new mobile video marketing devices will be a game changer. Look out for them on your doorstep before we list your home. Posted in Juno Beach condos for sale, Jupiter homes for sale, Palm Beach Gardens homes for sale on May 26, 2017 at 10:10 am.